Historically speaking, life in East London was one filled with hard times. Money was usually scarce, living spaces were cramped, and the streets were notorious for being rough. Thus, East Londoners were known for being a hardy bunch—people who could not only withstand these conditions, but learn how to thrive as well. This is best shown through the sport of boxing, a rough pastime that has deep roots in the boroughs of East London, where hundreds of world champions have called their home. Boxing and youth clubs sprung up across the area, serving as a means for young men to discipline themselves, as well as release their aggressions without getting into trouble on the streets. Today, there is perhaps no club that better exemplifies this sentiment than the Repton Boxing Club. Nestled in an old Victorian bathhouse in Bethnal Green, this club has a history of success in both boxing and community outreach, and continues to serve as a reminder to all of East London’s boxing prowess. Before it held the status of an amateur boxing gym, the Repton Boxing Club was initially founded in 1884 as the Repton Boys Club by the Repton College in Derbyshire. In 1895, Oxford House officially announced its support for the club, and advertised it in the annual report as an alternative club for boys who were ‘of a lower class’ than those the Webbe Institute supported. Some of the activities provided by the club included regular outings outside of the London area, annual concerts and theatrical performances (often with other Oxford House clubs), swimming lessons, full-fledged cricket and football teams, and of course, boxing. While the Repton Boys Club never achieved the same size and status as some of the other clubs supported by Oxford House, its members quickly built a reputation for their oftentimes foolhardy, but imposing, athleticism—particularly in boxing, which proved to be the pinnacle of the club’s involvement from the get-go. It was during the 20th century when the members of the Repton Club began to gain a rather infamous reputation around East London. This was largely due to Reggie and Ronnie Kray, a pair of Bethnal Green gangsters otherwise known as the Kray Twins. Before gaining notoriety as Britain’s most dangerous brothers, the young twins would often frequent the Repton Club, and were quite well known for their boxing skills. This connection to gang violence, combined with the temporary closure of Oxford House in the 1970s, caused the Repton Public School to withdraw its support for the club in 1971, and the club’s youth group status disappeared. However, the Repton boys continued to exist—the title of the club was officially changed from the ‘Repton Boys Club’ to the ‘Repton Boxing Club’, and it has been a boxing gym ever since. Today, the Repton Boxing Club is considered to be the oldest boxing club in the United Kingdom, and is held in high regard as one of the most prestigious boxing clubs in all of Europe. The club is a member of the Amateur Boxing Association, and has produced at least 500 champions in both amateur and professional boxing circuits. Some famous former members of the club include John H. Stracey and Maurice Hope, as well as Olympians Sylvester Mittee, Audley Harrison, and Tony Cesay. For more information about the Repton Boxing Club, check out their ABA webpage. If you have any personal stories about the Repton Boys Club or the Repton Boxing Club, please get in touch via email at heritage@oxfordhouse.org.uk, or via Facebook and Twitter. 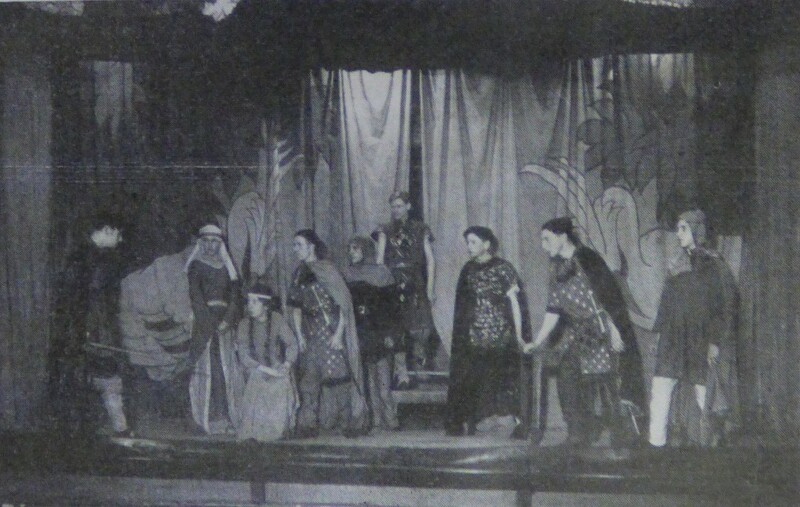 The Repton Boys Club performing the play “Macbeth”. Oxford House Annual Report, 1937. Oxford House.